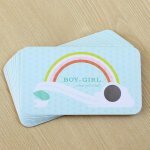 Getting ready to host a baby shower or gender reveal party? Need some help? 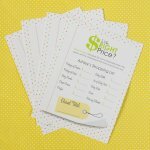 We've got everything right here to help you get organized: checklists and guest lists ready to print out, even a gift tracking form to help with those very important after-shower thank-you notes and ideas for party entertainment for all ages. 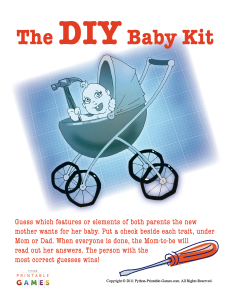 Our first bit of baby shower planning advice? Set aside four weeks for getting organized, planning, sending invitations, and purchasing the babyshower party supplies, decorations and favors. Back in my pregnancy days, showers were thrown by friends, not relatives ... and men were never invited to partake in the festivities! 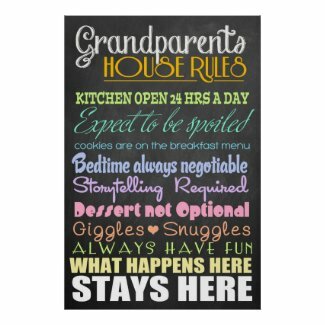 It's the 21st century and times have changed - many parents-to-be, family members and friends are throwing baby showers, and everyone's invited - sometimes even children! Baby parties are a celebration of life and family, and in fact, these days it's not uncommon to have more than one party, especially if the parents-to-be have a large family or several close friends, or if they have friends and family in widely separated spaces that make travel hard or expensive for a large number of guests. To help you make sure you host the best baby shower ever, we've put together a four-week baby shower planning guide with steps to take for each week up to the big day of the baby shower. Day Of the Shower: Time to Celebrate! Of course you can throw in some more games, mix things up, leave things out, it's all up to you! When our parents were young, the hostess would invite only women to a baby shower: ladies from both sides of the family, the mom-to-be's girlfriends, and of course, the mom-to-be. Times have changed however, and potential invitees could be the dad-to-be, grandpa-to-be, uncles and anyone else! The first decision you need to make is what kind of baby shower do you want to host? Do you want to invite women only? Will the parents-to-be have another baby shower for family members only? If so, you might consider hosting a friends-only baby shower. Another popular trend is to host a co-ed couples baby shower. 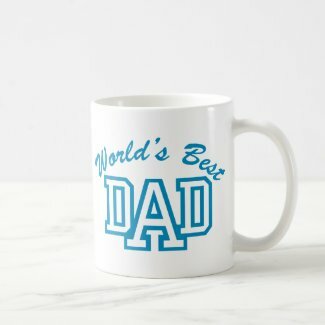 And another trend is to hold a baby shower for co-workers of the mom- or dad-to-be (whichever one works at the same office as you). Whether or not to invite children is another decision you need to make right up front. If the baby-to-be already has a brother or sister, then inviting other kids would be a great way to get them involved in celebrating their new sibling. Depending on how old the older children are, they might be able to lead other kids in activities designed just for youngsters. Seven years old is about the right age child to invite to a baby shower. They'll feel as though they are included in hosting responsibilities and are part of the big event - which they are. For younger kids, or if the situation doesn't present opportunities for inviting children to a baby shower, you might consider hiring a babysitter to entertain the kids during the event. Once you make a guest list and have a general idea of the number of guests, start researching local venues for the party. Traditionally, baby showers were held in the home of the hostess, but more recently restaurants and social halls have become popular places to throw a baby shower. Consider a restaurant or church social hall, a park picnic pavilion, a reception hall, or even a day at the spa with a catered lunch. After the guest list is set and you know where you're going to host the baby shower, it's time to pick a baby shower theme and send the invitations out! Baby shower themes serve as inspiration for decorations and games, invitations, favors and even the food. Themes can be as simple as choosing a color scheme like blue and white if you know the parents-to-be are having a boy, or pink and white for a girl. A theme makes shopping for supplies a breeze! 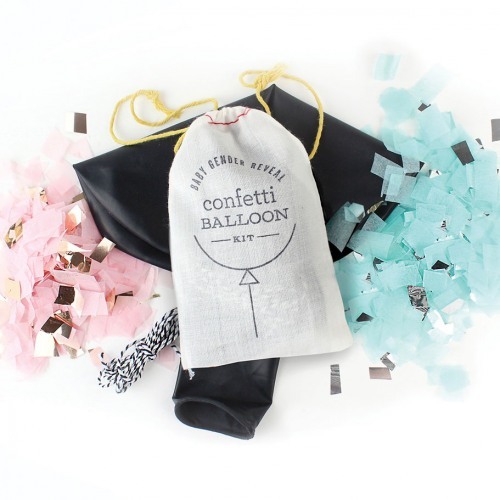 Click the link to see one of a selection of favorite party kits withUnique Baby Shower Themes. There are many different baby shower theme ideas to help get you started. For example, if you are using a Rubber Duckies theme, select baby shower invitations with ducks, then buy cute duck decorations, a baby bath centerpiece filled with water and floating rubber ducks, small rubber duck favors, and yellow foods. See how much fun baby shower themes can be? Baby Shower party games are best when you have a group of people who may not know each other very well and you need to relax everyone before the party gets going. Ice-breaker games set the mood for your shower and get people talking and laughing - this is a happy and fun occasion, so the more laughter, the better. 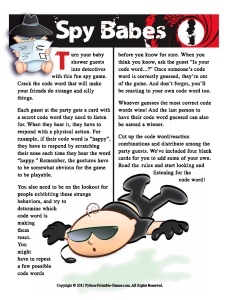 If you're planning a theme baby shower, the party games can relate to the theme. Plan and choose about 3 games for a 2-hour shower. Once you have the guest list settled and have all the address information, you're ready to mail the invitations. You need to allow your guests plenty of time to plan their schedule and find just the right gift. 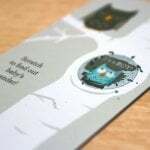 Invitations are a guest's first clue as to the style and/or theme of the party. 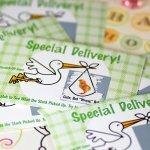 You can design custom printed baby shower invitations, buy preprinted cards, or design and print your own invitations, name tags and favor cards. 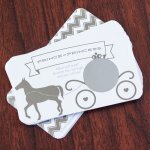 Explore your low-cost design options usingBaby Shower Printablesand Pregnancy and Baby Clip Art. It's easy to use make your own invites: pick a front cover image and enter the details then print the invitations out on 8 1/2" x 11" paper, fold the cards into quarters and send them to your guests! The benefit of making your own invitations is that you have unlimited printouts. If you make a mistake on one, no problem, just print out another. 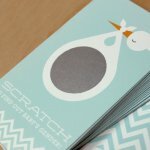 If you discover you have last minute additions to your guest list, you can easily print additional baby shower invitations on demand. 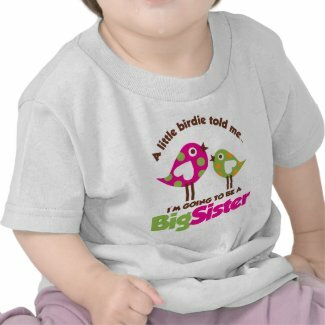 Give a personalized, unique gift to every member of baby-to-be's family. Start thinking about what you are going to serve. You don't need to finalize everything as you make your initial food plan, but you do want to have an idea of what you want to serve to your guests besides cake, coffee and tea. Need suggestions? Finger foods work great and if you arrange them in several areas around the room it will encourage guests to mingle. Use food to reinforce the party theme. If your guest of honor has a favorite color, or if the shower theme revolves around a color, choose foods with the same color. The time of day can help you decide what to serve. For a mid-morning baby shower, you could serve coffee and tea with pastries. For an afternoon baby shower affair you can serve a light lunch with cake and punch for dessert, or go lighter with finger foods or mini-sandwiches. A party held later in the afternoon could include chips and dip or vegetables and hummus along with a sweet finishing tidbit. There are two rounds of shopping for baby shower planning. First you need to select and pick up invitations (or card stock to print your own), party favors and decorations. You can also print your own party ware from printables or by using clip art and designing your own! In the week before the actual baby shower date you'll need to shop for food and beverages. 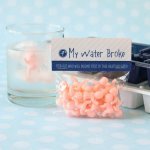 Need ideas for baby shower favors? One of our favorites are tealights personalized with the date of the baby shower. These cute, brushed aluminum 24-hour tea lights can be personalized in black, gold or silver ink. Another fun idea is to give out personalized bud vases. 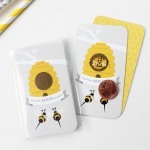 Both of these items make great keepsakes without breaking the bank. 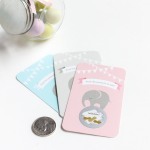 You should also pick up a few items to use as prizes for the winners of your Baby Shower games - picture frames, compact mirrors, candles, journal notebooks or small jewelry boxes work well as prizes. After 3 weeks of planning and organizing, shopping and preparing the favors, the last week means there are just a few days left until the big day. In the final week before the shower you should finalize your menu plan for what you are going to serve at the baby shower. Write down all the ingredients, beverages, serving pieces and table ware you'll need, then take inventory on what you have on hand versus what you need to by for supplies. Need any extra film or decorations that may have been left out on the first round of shopping? If you have made reservations at a special venue for your baby shower party, call to re-confirm your reservation and also ensure they have enough chairs, tables and dishes. Also make sure you can get in early enough to set up the decorations and arrange the room how you want it for the shower. Day Of the Baby Shower - It's Time to Celebrate! There are always a few loose ends to tie up on the day of the party, so the best thing to do is make a list and, yes, check it twice. Put a reminder to pick up flowers, balloons and last minute decorations on your day-of-the-event checklist. Designate a photographer and/or videographer to capture the event for the parents-to-be and guests. Create a gift tracker and designate a gift recorder to write down gifts and givers so the mom-to-be will know who to send each thank you card to. Bring along storage totes or boxes to organize the gifts and make them easier for the mom-to-be to transport them home. Designate a team to pack them up and deliver them or load them into the car after the shower.